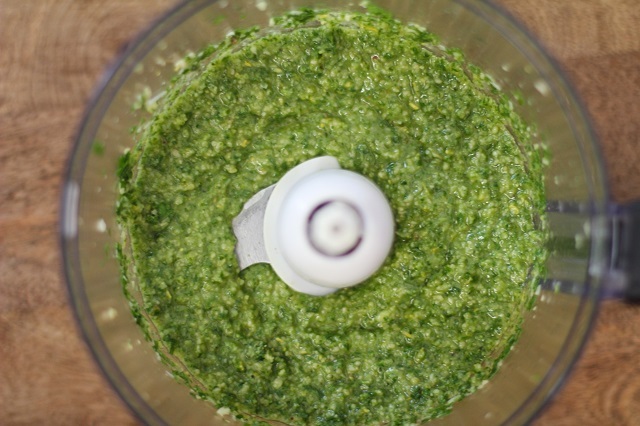 A classic recipe for basil pesto sauce. Perfect for using on your pastas, veggies, chicken, fish, rice, and more! 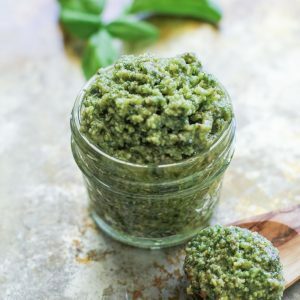 While I love making pesto with an assortment of herbs, nuts, and cheeses, I simply love a classic basil pesto. 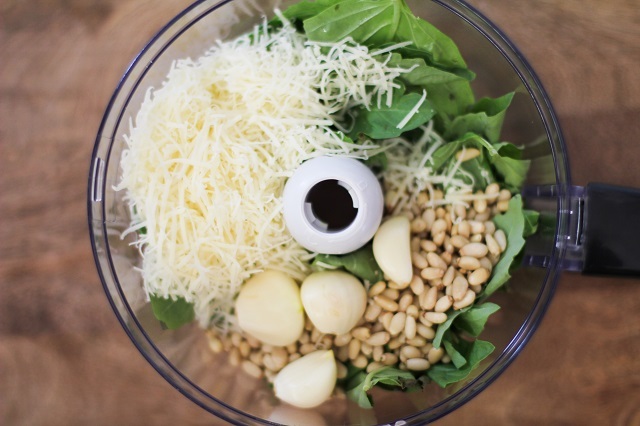 Made with fresh basil, pine nuts, garlic, and Parmesan cheese, this easy and flavor-packed sauce is tough to beat. 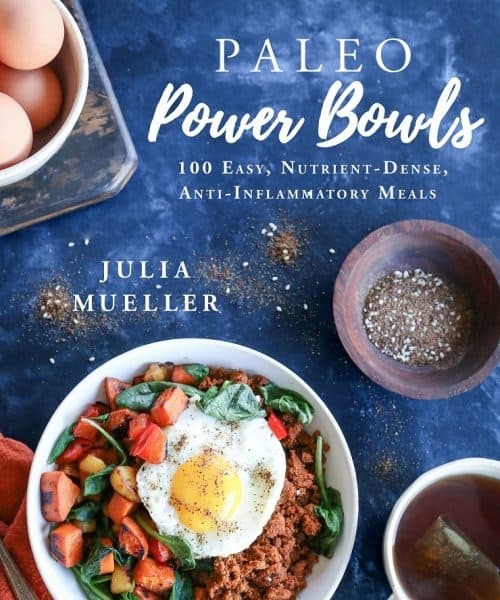 I love using it on sandwiches, pizza, drizzling it on roasted vegetables, and even using it in salads as dressing. 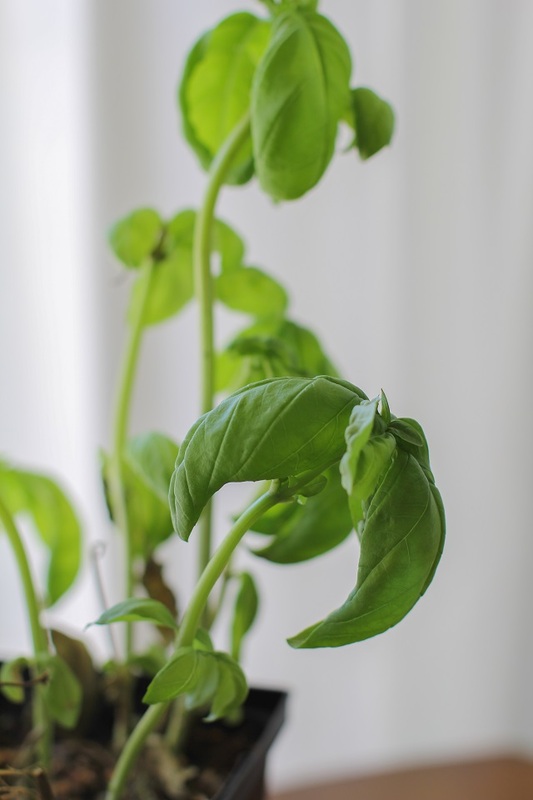 In addition to basil, you can use your choice of flat leaf parsley, cilantro, mint, sage, kale, arugula, and/or spinach in pesto sauce. You can also use raw walnuts, almonds, pecans, and pumpkin seeds instead of pine nuts. I also love using asiago cheese, Gruyere, and/or aged white cheddar in place of Parmesan. You can even get fancy with the oil and substitute grapeseed oil, pumpkin oil, avocado oil, or almond oil for the olive oil. 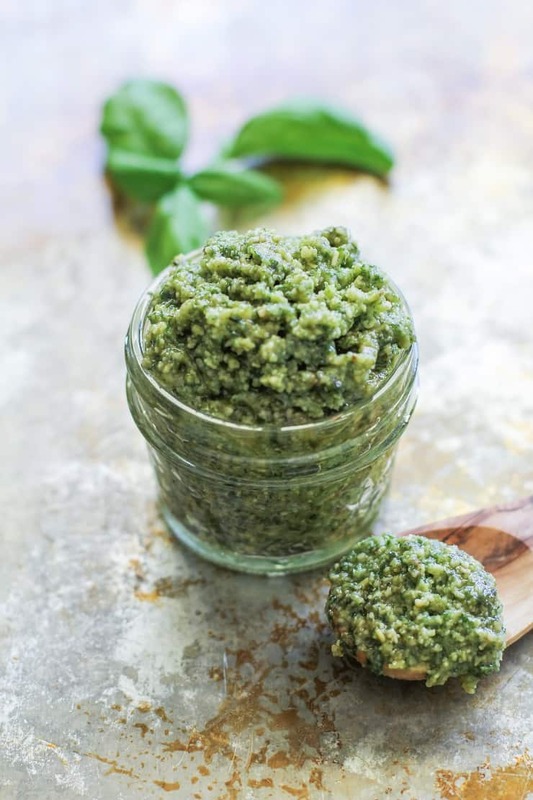 All you need to do to create a solid pesto sauce is follow the basic measurements in the recipe bellow, either following it to a T, replacing the ingredients with your ingredients of choice, or playing around with the proportions of ingredients. Simply add everything except for the oil to a food processor and pulse a couple of times. 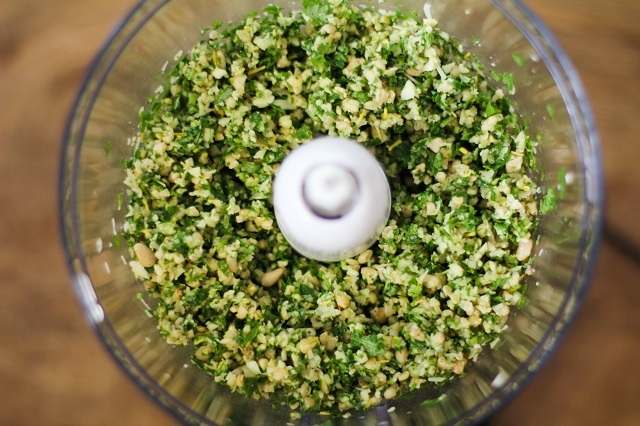 Turn your food processor on and allow it to blend while slowly pouring in the oil. For a thinner pesto sauce (great for pastas), add more oil, and for a thicker, spreadable pesto sauce, stick with the recipe below. 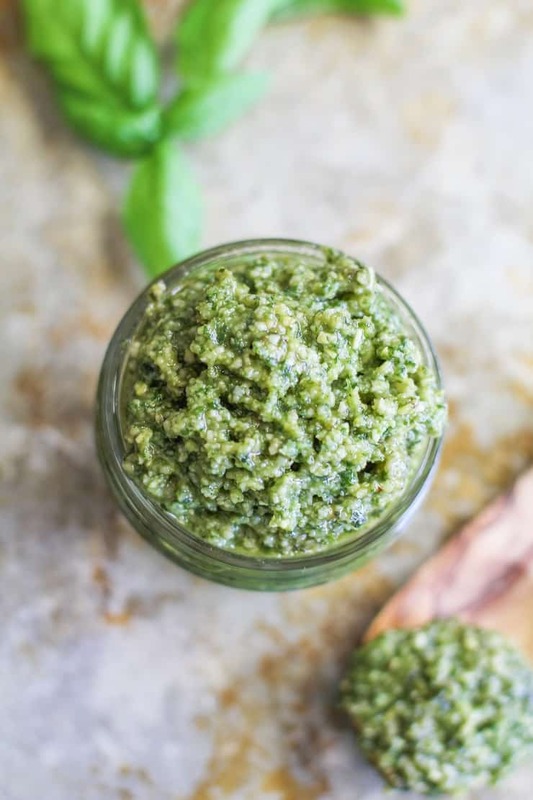 Store pesto sauce in a sealed container in the refrigerator for up to 10 days. Add all of the ingredients except for the oil to a food processor. Pulse 4 to 5 times to coarsely chop the ingredients. Turn the food processor on and slowly pour the olive oil through the opening. Process until desired consistency is achieved. Taste sauce for flavor. If desired, add additional sea salt.